Samsung Galaxy S4: Release Date Pushed Back? A new report hit the net suggesting that the highly anticipated Galaxy S4 might be delayed due to issues with the eight-core Exynos Octa processor. At a time when rumors are rife that Samsung will release its new flagship smartphone, the Galaxy S4, March 14, a new report hit the net Thursday suggesting that the highly anticipated device might be delayed due to issues with the eight-core Exynos Octa processor. Tiernan Ray of Barron reported citing Piper Jaffray’s Gus Richard that the South Korean tech giant was having problems getting the Samung Galaxy S4 ready because of power-related issues with its own Exynos Octa processor. On Wednesday, Korean site Digital Times reported (via Techkiddy) that a major problem in the Exynos 5 Octa Chipsets had forced Samsung to adopt the Qualcomm Snapdragon Chipset for the upcoming Galaxy S4 smartphone that would come with the model numbers including GT-I9505, SHV-E300S, SHV-300L and SCH-I545. “The major problem in Exynos 5 Octa Chipsets is to control heat generation and much power consumption — that is why Samsung has adopted the Qualcomm Snapdragon Chipset for upcoming flagship Samsung Galaxy S4,” the Techkiddy report said. Interestingly, the report also stated that Samsung Galaxy S4 would be released only in a single version. There won’t be any international variant of the smartphone with Exynos 5 Octa. Another recent report over at Sammobile, however, had a different story to tell. According to the report, the Exynos 5450 had overheating issues and that’s why Samsung changed it into an Octa-core. “The only problem is that the Octa-core processor by Samsung isn’t LTE-enabled, which will cost Samsung extra parts space inside the Galaxy S4,” the report said. 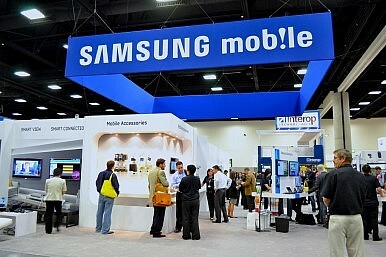 “There’s a possibility for Samsung to use the Octa-core processor in the non-LTE Galaxy S4 devices. Whereas the LTE variant of the Galaxy S4 could use the Snapdragon 600 Quad-core processor,” the report added. Recently leaked benchmarks results also indicated that Samsung would use Qualcomm Snapdragon chipset to power the Galaxy S4. It was reported earlier that a new GLBenchmark database allegedly showed the Korean variant of the Samsung Galaxy S4 (SHV-E300S) with a Qualcomm MSM8960 CPU clocked at 1.9GHz (384 – 1890MHz) and an Adreno 320 GPU. Samsung Galaxy S4 Rumor: New Feature Looming? With a possible launch in March, the Samsung Galaxy S4 may include a new camera feature.